« How Can an ISAC Improve Cybersecurity and Resilience? 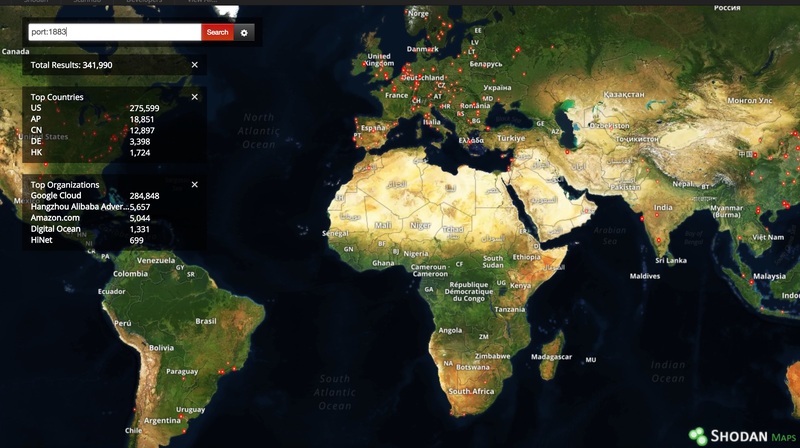 A quick search on Shodan reveals that there are a lot of devices publicly available, primarily in the US and Asia. The publish/subscribe method in MQTT consist of a client subscribing to receive messages that are distributed by a broker. These messages are received from a device that is publishing its content to the broker. Theses messages are linked to so called topics. The simplest way to look at this is to consider topics as a “resource”. The MQTT protocol does not include a lot of security features by design. This doesn’t mean that it’s insecure, it just requires additional wrapping or configuration settings to be secure. A mis-configured publish / subscribe setup can grant access to all topics (content) for clients or can lead to the pollution of the messages that are distributed by the broker. How do you fix this? By using authorization and implement topic permissions on the broker side. The permissions need to include the topic and what operations (subscribe or publish) are allowed. The article MQTT Security Fundamentals: Authorization describes how you can tackle the authorization problem within MQTT. One of the features of brokers is to grant permissions on wildcard topics. These wildcards should be avoided because it prevents you from maintaining fine-grain control on authorising access to specific topics (resources). Closely related to authorization is authentication. MQTT supports authentication by providing for example username and password fields in the CONNECT message. The mechanism that is used after submitting the authentication credentials for granting or denying acces then further depends on the implementation of the broker. Important to know is that authentication credentials are sent in clear text. Additionally the broker itself needs to be secured. If an intruder is able to compromise the broker they can capture or extract the authentication credentials (certificates etc.). This is no different as compared to other “centralised” authentication methods. MQTT traffic is by default in plain text, including its authentication credentials. Obviously this is not a good idea. MQTT traffic can also be encapsulated in TLS. This is then called “secure-mqtt” and uses the port tcp/8883. Take care that when you use TLS to always use the latest TLS version and to validate the full certificate chain. Log the connections going to your brokers. Do this either via the firewall or via netflow. Use certificate authentication on the brokers.